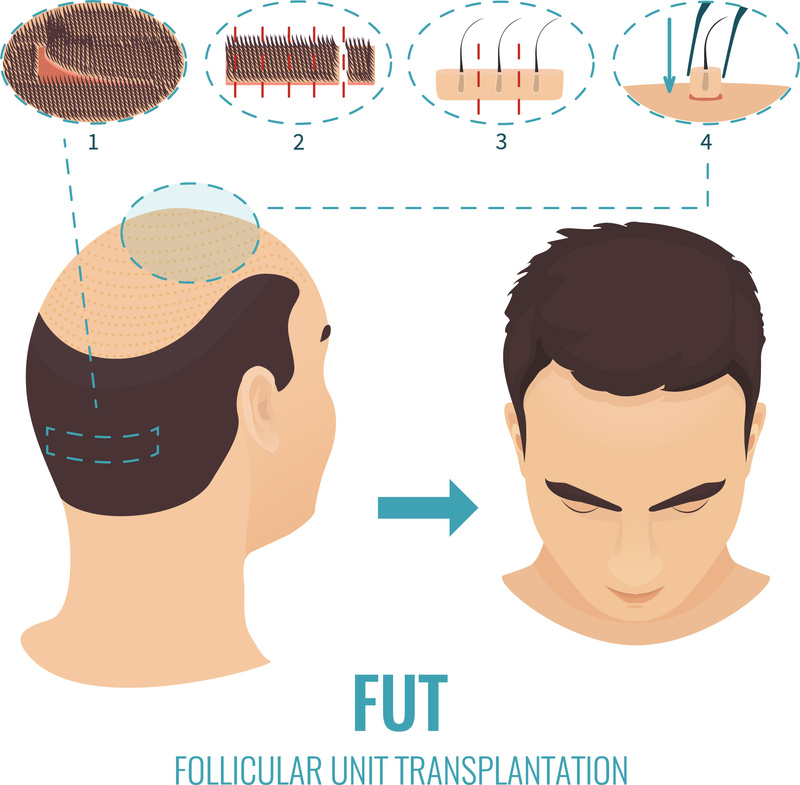 Follicular Unit Extraction (FUE) is another type of hair transplantation in which the method of hair extraction is different, but implantation is the same as FUT. It’s a suture-less procedure, where individual follicular units are extracted one by one from the donor area under local anesthesia using micro-punches like those used in FUT. On the day of surgery, and to help see the base of the follicles, the patient’s donor area must be trimmed to 1-2mm in length. 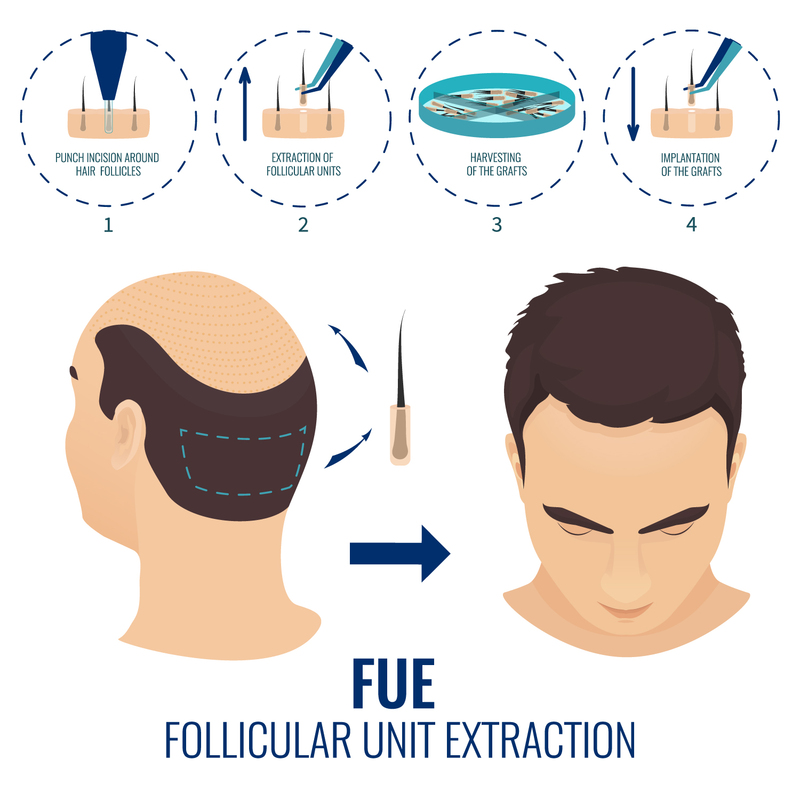 Because individual follicles are removed, the procedure takes longer than FUT. Usually, only 1,000 to 1,500 follicle units can transplanted in a given day, meaning patients who desire more grafts typically need two or more days to finish the job.